Three ways: RSS, Twitter or Patreon. This blog delivers updates via RSS. To use it, you need a reader. Register at one of the services or install an app. Good list of hosted RSS readers and apps can be found here. I use Feedly via web and Feedly Android app. You might follow @nikitonsky on Twitter, everything I write I announce on Twitter as well. 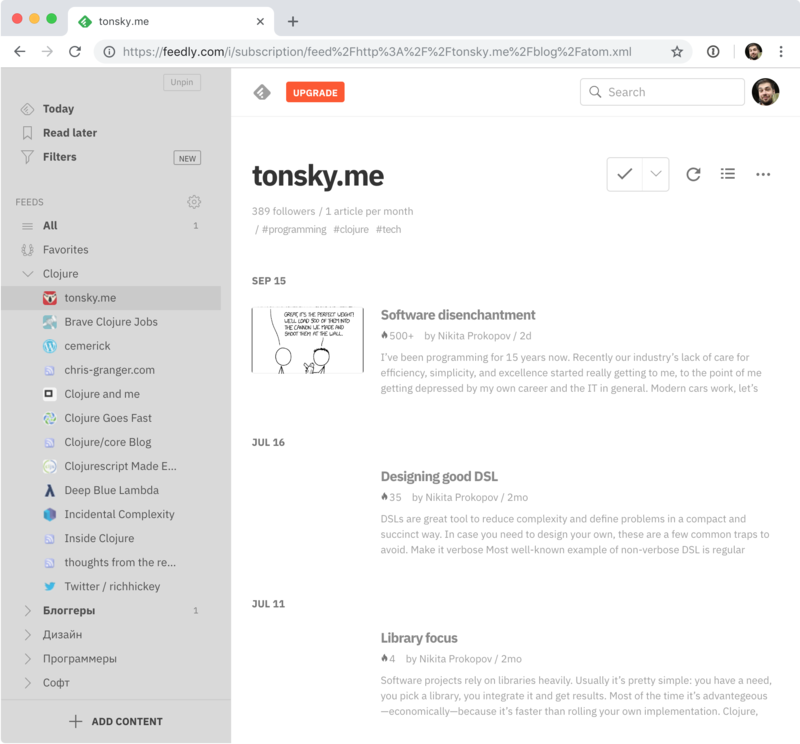 If Twitter is too much noise for you, patreon.com/tonsky would work too. Become a patron and you’ll be notified about all articles and other stuff that I do.